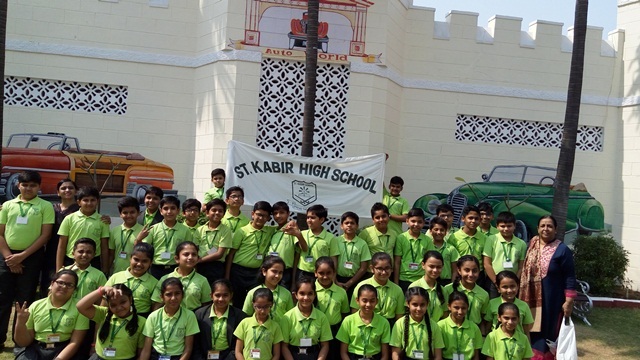 Around 120 students of grade 5 of St. Kabir School, Naranpura went on an educational trip with six teachers on 14th February, 2019 to four different places and gathered first-hand information as well as practical learning. 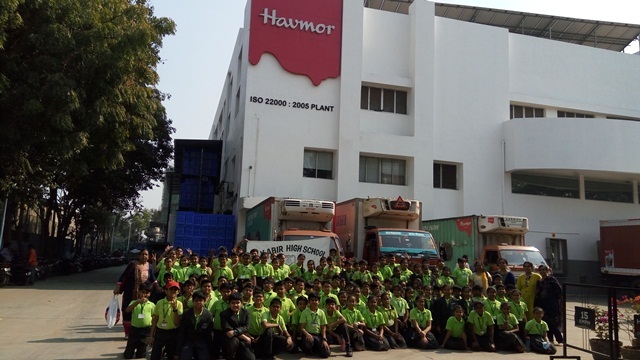 They went to Parle G factory and Havmor ice cream plant in Naroda and learnt about the technical advancement in the field of baking, packaging, storing and transporting these edible products. They were shown the procedure of manufacturing biscuits and ice cream actually and so they could learn really well. The resource persons at both the places were gracious and enthusiastic to provide all the details involved as well as proficient in answering to their queries and questions. The students further went to GVK EMRI 108 HQ in Naroda wherein they were taught about emergency management by taking them to various centres including the call centre and showing the gadgets and tools inside the 108 ambulance. The students were given the history and evolution of 108 emergency ambulances in Gujarat. They were informed about the other emergenciy services managed by GVK EMRI for better sustenance of life. The students learnt about various helpline numbers for different nature of emergencies. The trip also included a visit to the Vintage Village (Dastan Farm). The students were awed to see so many vintage cars of different origin collected at one place. The cars were displayed with their details of their manufacturing country, year and model specifications. They fondly posed in front of some of the beautiful cars and got themselves clicked by the teachers. Such practical learning stays with the students forever!